Gone are the days of having a huge brick of a Wedding Album filled with 30 or so pages of formal shots that cost a fortune and is currently gathering dust in your parents attic. 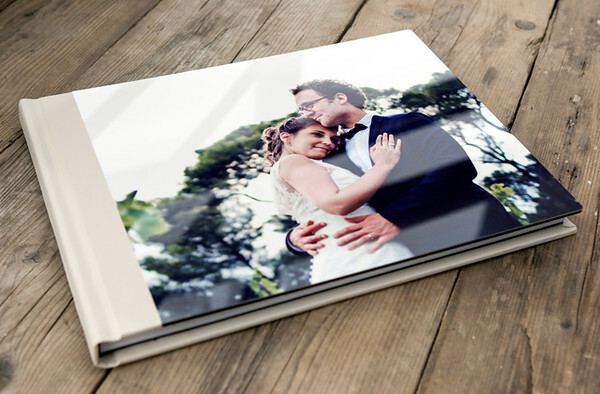 Today the style is much more contemporary with many clients wanting a 'coffee table magazine style album'. We do not supply wedding albums as part of our packages having taken the decision to separate the cost of Photography and the cost of Wedding Albums. We do this because lots of couples want to control costs and have the option of creating a Wedding Album after they have seen the images. We offer various styles of album for you to purchase all designed exclusively by us. There are a wide variety of covers, finishes and numbers of pages. As a guide an album will cost between £400 - £600. There are also replica memento albums available to allow parents to have a copy. These are a smaller size than the main album and only an additional £100 for two.